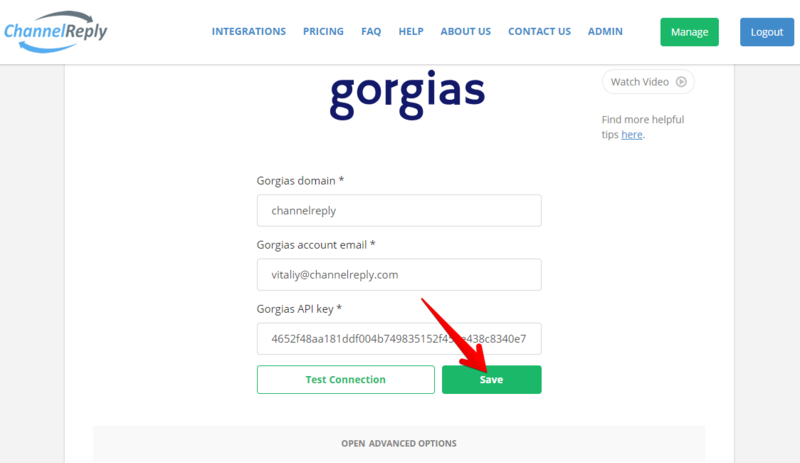 Integrating Gorgias with ChannelReply is as easy as pie—and by that, we mean eating a pie someone else baked. Follow along with the video or written instructions below and you’ll be done in minutes. Note: Click on any screenshot to view the full-sized image. Sign in to ChannelReply, or click “Manage” if you’ve already signed in. You can start a free trial here if you don’t have an account yet. In a separate tab, sign in to Gorgias. 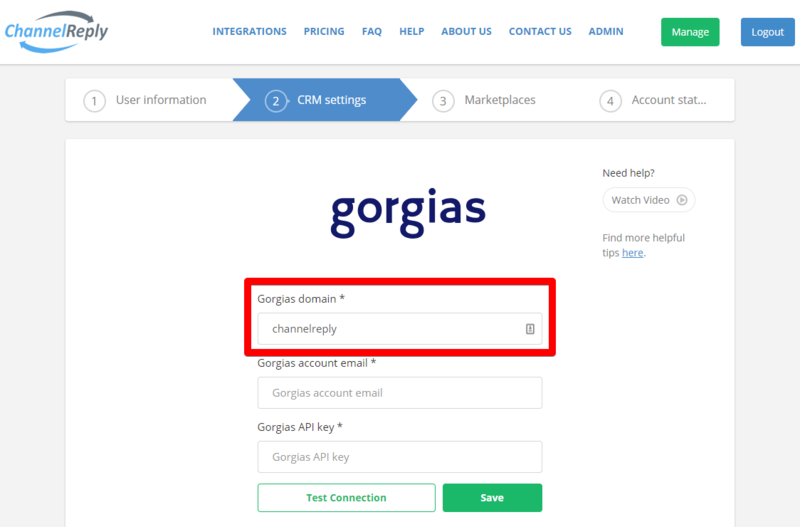 In ChannelReply, go to the “CRM settings” tab and choose Gorgias as your service desk. Find the “Base API URL” field. Don’t copy the entire URL. 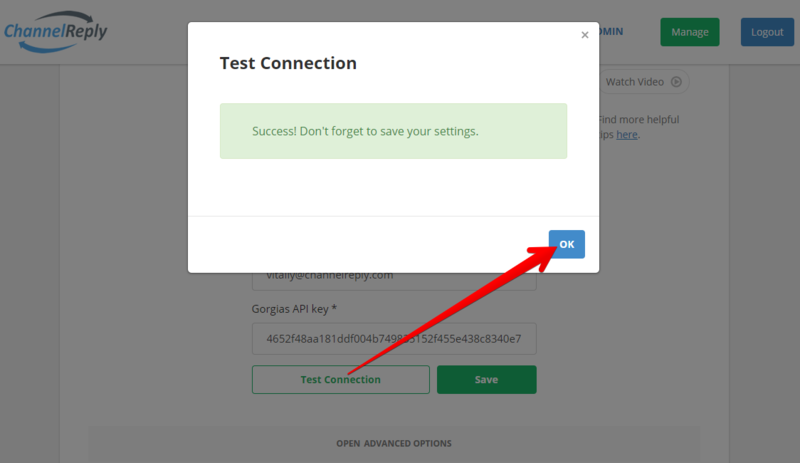 Instead, just copy the part between https:// and .gorgias.io. 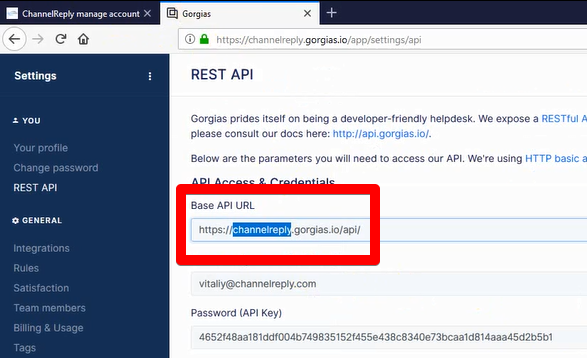 For example, our URL is https://channelreply.gorgias.io/api/, so we would copy “channelreply” and nothing else. Paste this into the “Gorgias domain” field in your ChannelReply account. 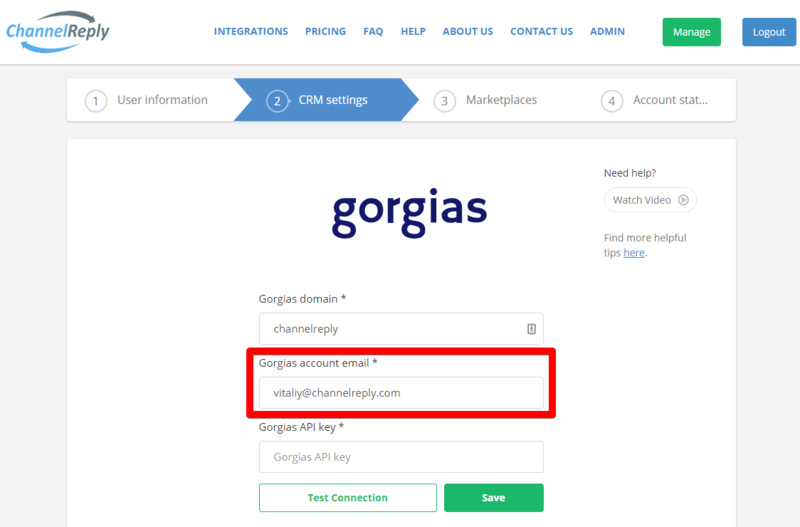 Back on your Gorgias screen, find the “Username (your email address)” field and click Copy. 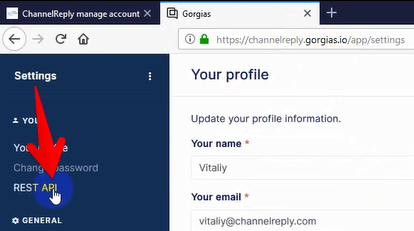 Paste it into the “Gorgias account email” field in ChannelReply. Return to Gorgias again. 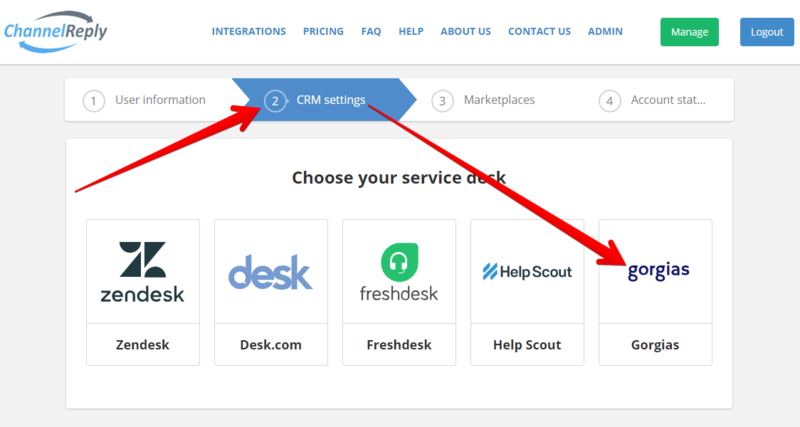 Find the “Password (API Key)” field and click Copy. 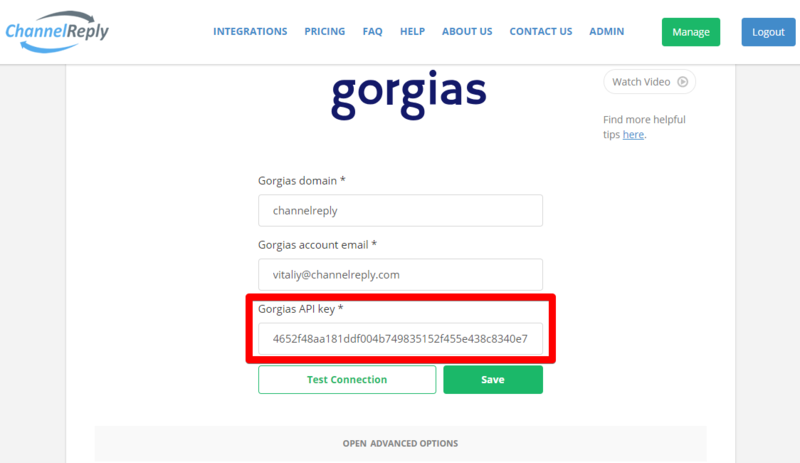 Finally, return to ChannelReply and paste that into the “Gorgias API key” field. Click “Test Connection” to make sure everything is accurate. You should see a success notification. Click “OK” to dismiss it. If you see an error instead, double-check your info above and contact us if you don’t see any mistakes. 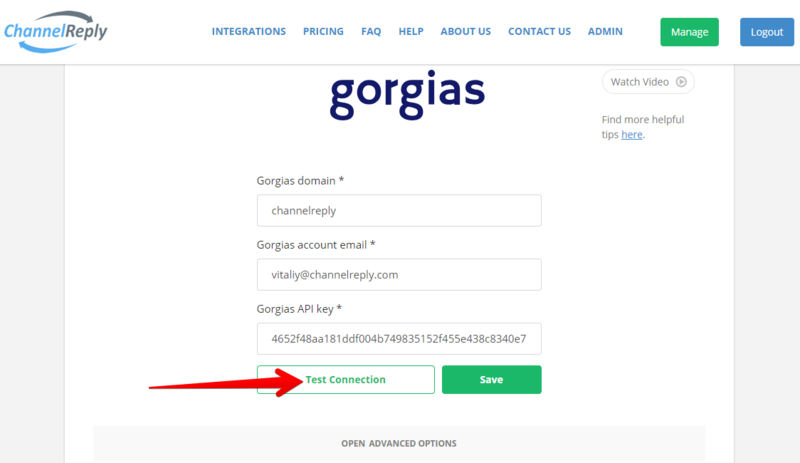 Gorgias integration is now complete! 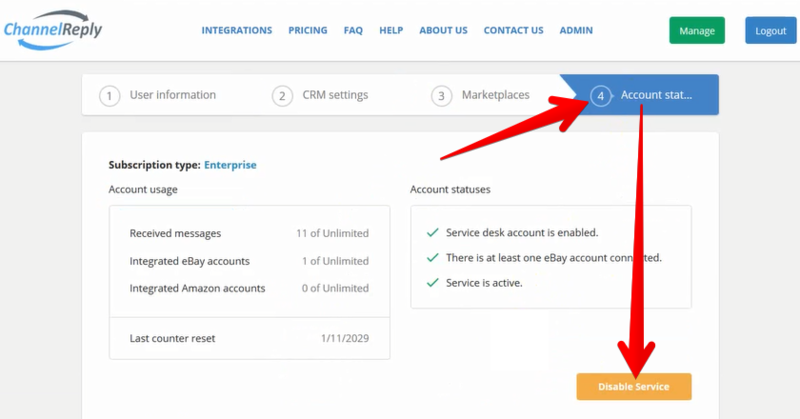 To finish the setup process, follow our instructions on eBay integration and/or Amazon integration. After your accounts are connected, be sure to visit the “Account status” tab and enable service if needed. If you see “Disable Service,” it means service is already active and no further action is needed. If you ever get stuck or have any questions, please feel welcome to get in touch and we’ll be happy to help.